You’re a smart person, right? I mean, you’re on your way to figuring this email marketing thing out. And you’re doing everything right – building your list, not over-mailing, sending good content. Are you using a land page? And not just for squeeze page offers. Uh-oh. Is it because you think they’re a hassle? Or ‘cause maybe you think they’re not worth the hassle? I get the resistance. It’s smart, actually. Why invest your time in yet another thing to do if it’s not going to get you any results, or at least enough results to make it worth your time? So let’s break this down. Let’s see if landing pages really are worth your time. Let’s say you’ve got a list of 5,000 subscribers. You’ve been mailing them about once a week. You earn about $500 per send. That works out to about 10 cents earned per subscriber, every time you mail. Not so bad. So you’ve been sending these nice people to several different types of web pages – product pages, home pages, pages on your blog. Maybe some of those product pages and home pages are for affiliate programs. Then things change. For the next three email sends, you decide to use a landing page. 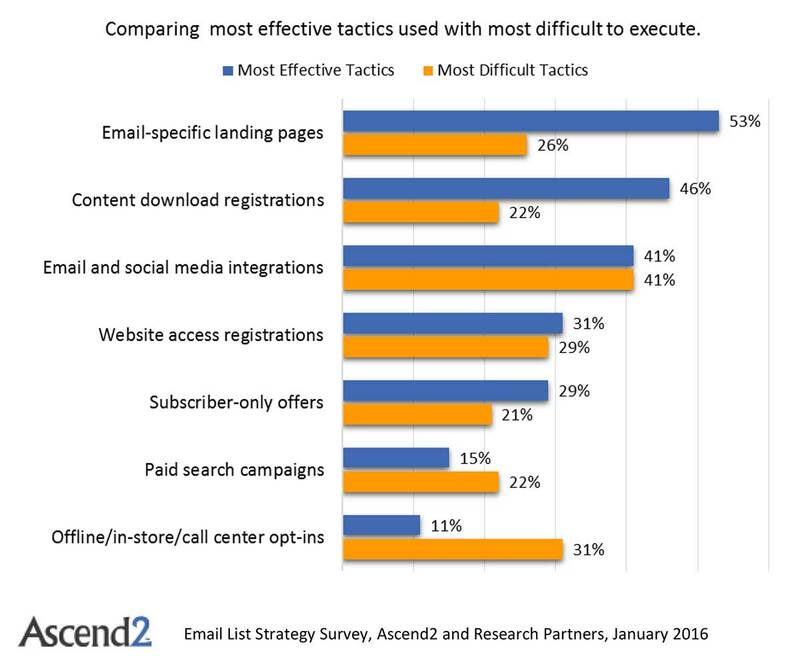 Your sales go up 15% on the first email, 30% for the second email, and 18% for the third. That’s not an uncommon lift. And you, my friend, earn an extra $75, $150, and $90 for your work. A total of $315! 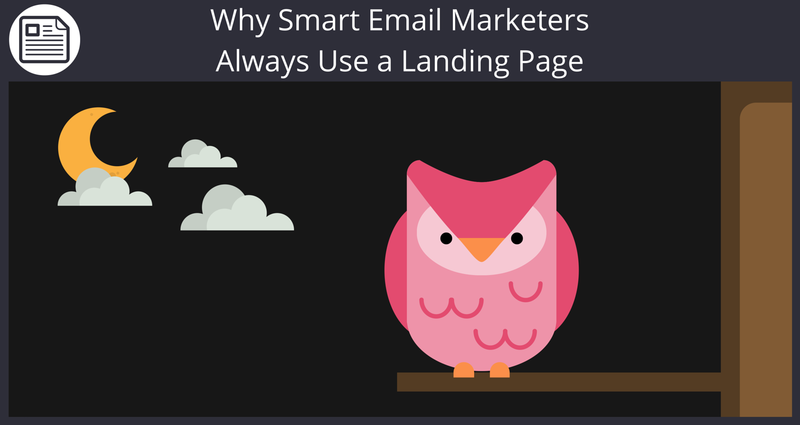 Your fellow email marketers also think landing pages are great. And they find them pretty easy to use, too. 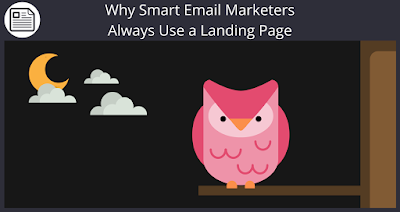 A 2016 survey of 50,000 marketing professionals found that landing pages are the single most effective way to get success with email marketing. They were also the easiest to implement. That looks like something that might be worth your time. So let’s back to our own example. For our weekly $500 mailing, a 25% increase would net out to $625. That could be even higher if you can make a really good landing page. Of course, a really awful landing page could – potentially – either not help your results at all, or possibly even make them even worse. Another glitch might be if it takes you forever to create each landing page. Then the excessive time spent might not be worth the extra money you’d earn. 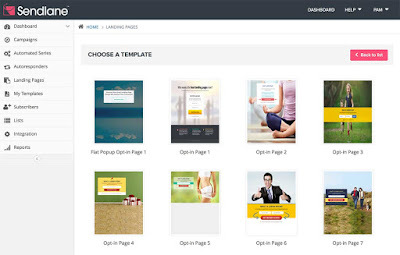 There are thirty different landing page templates all ready to go in your Sendlane™ account. You’ll probably need to make some edits to them, but if you’re smart, you can create a couple of basic landing pages for different needs, then save them as templates to re-use later. Clever you, right? You’ve figured out a way to drastically cut down how long it takes to make a landing page. That means you’ll enjoy that 25% income hike without too much extra work. Of course, there’s still the issue of making a good landing page. That’s a skill people spend their whole lives refining, but I can give you the thumbnail introduction in a few bullet points. Use your landing pages to pre-sell your readers on whatever you want them to do on the final page. If you had to distill a landing page down to it’s most basic elements, you’d need a headline and a call to action . 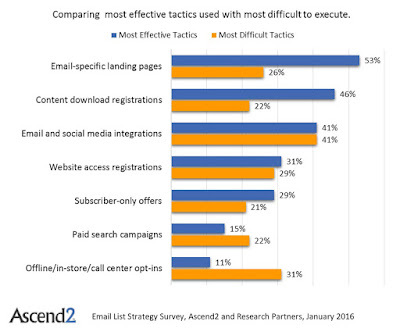 Those are also the two best things to test – they tend to have the most impact on conversions. The copy on the call to action button shouldn’t be just “click here”. Make the button say exactly what you want your visitors’ motivation to be, and use “my” not “you” in the copy. As in “Get my report” – not “get your report”. Add an image so people can see what they’ll get. Even better: Add an image with a person so people can imagine themselves with the product or using the service. Make 100% sure your landing page looks good and works on mobile devices. There are way more tips for making great landing pages, but that’s just enough to get you started. So got a beef with anything I said here? Know of any case studies where a landing page got crazy-great results? Leave a comment and tell us what you think. And hey – here’s to your 25% raise!